The Global Government-to-Government Partnership (G3P) is a professional exchange program administered by the U.S. Department of State in cooperation with Meridian International Center. Throughout the course of 3-12 months, G3P includes a professional training program, language courses, and cross-cultural opportunities. Participants develop formal training plans that include specific goals and objectives for their exchange experience in the United States. (March 2019 – March 2020) Chief Official, Ministry of Health, Labor and Welfare Mr. Hayao AIGASA will be researching the difference in female employment rates between the United States and Japan, and is particularly focused on how it relates to work-life balance and family-friendly policies in the workplace. 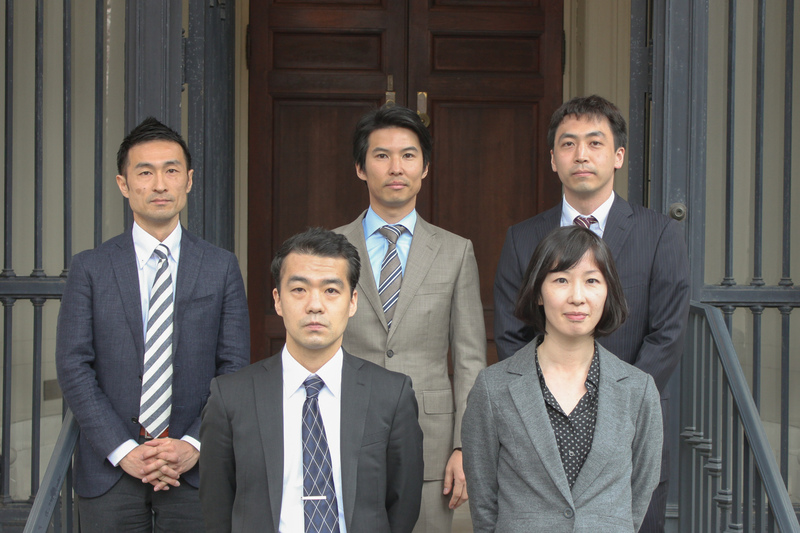 At the conclusion of his fellowship, he will prepare a major policy paper, based this research, that may impact Japan’s workplace policies. (March 2019 – March 2020) Subsection Chief, General Affairs Division, Actuarial Affairs Department, Ministry of Health, Labor and Welfare Mr. Takamitsu ISSE will be researching the differences in public pension systems in the United States and Japan, particularly as it relates to the decline of birthrates and the increasing aging population. At the conclusion of his fellowship, he will prepare a major policy paper, based this research, that may impact Japan’s pension system. (March 2019 – October 2019) Auditor, Foreign Affairs Audit Division, Board of Audit Mr. Takayuki SATO will be researching the audit system used by the U.S. Government Accountability Office and the different Inspectors General’s Offices for the purpose of foreign aid contributions. At the conclusion of his fellowship, he will prepare a major policy paper, based this research, that may impact Japan’s auditing systems. (March 2019 – March 2020) Assistant Director, Space Industry Office, Manufacturing Industries Bureau, Ministry of Economy, Trade and Industry (METI) Mr. Kenta TAKAHASHI is interested in the concept of “Smart Industrial Safety.” He intends to study the harmonization of international and domestic laws, the promotion of high-quality and high-efficiency systems overseas, and the development of international standards in light of Japan’s future. At the conclusion of his fellowship, he will prepare a major policy paper, based this research, that may impact Japan’s industrial policies. (March 2019 – March 2020) Specialist, International Affairs Division, Minister’s Secretariat, Ministry of Education, Culture, Sports, Science and Technology (MEXT) Ms. Yoko USUBA is interested in understanding the present situation, challenges, and future direction of policies for the social inclusion on immigrant children from the perspectives of the federal government, state governments, and schools. At the conclusion of her fellowship, she will prepare a major policy paper, based this research, that may impact Japan’s education system as it pertains to immigrant children.